Hotmail inbox has a slightly new look. No big changes, more like a repainted room than a remodeled house. All changes are made following all users feedback. 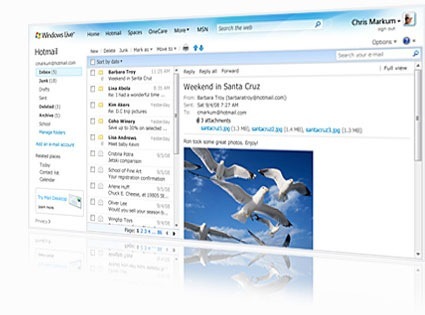 You will see an inbox with clean look and much faster . Additional improvements are in the works in the coming months including even bigger storage space and the ability to send instant messages from your inbox.